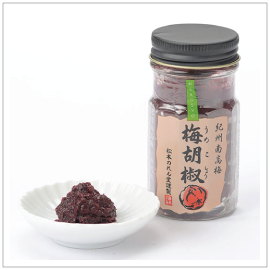 Combining blue chili with Wakayama's famed Kishu Nanko plums, this product adds stimulating spice to the pleasant tartness of plum for a flavor like never before! Goes great with fried food, meat, seafood, and of course hot pot. Combine it with mayonnaise or dressing for use in your own original sauce.